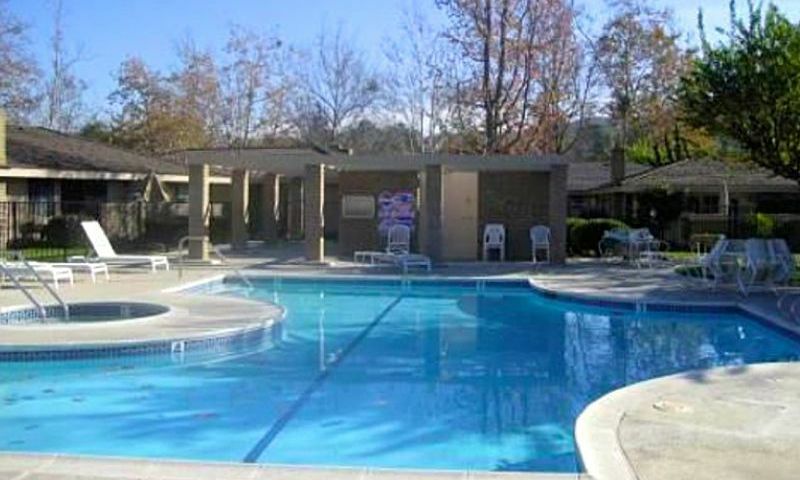 San Juan Hills is a 55+ community located in San Juan Capistrano, California. This beautiful Orange County community has many of the desirable features that a buyer seeks in an active adult community with a beautiful golf course, a scenic setting and a beautiful climate. San Juan Hills offers active adults attached and single-family low-maintenance homes in a lovely part of Southern California. San Juan Hills gives active adults plenty of opportunities to enjoy the year-round climate. Within every cluster of homes residents can relax and bask in the sun in one of the fifteen outdoor pools with their own patios, ensuring that residents can lounge or swim a few laps just steps outside of their home. Each cluster is also connected by winding trails that are perfect for an early morning run or bike ride. The San Juan Hills Golf Club provides a beautiful par-71 course where residents can enjoy a challenging game. This 18-hole course features fantastic views of the surrounding mountains and scenic water features. If you want to practice other parts of your golf game, San Juan Hills Golf Club provides a driving range, chipping area and a putting green. A bar and restaurant are perfect for relaxing with your golf partner after a round. San Juan Hills is the perfect place to call home with 182 low-maintenance single-family and attached homes. This community is made up of two distinct neighborhoods known as San Juan Hills West and San Juan Hills East. The attached homes range in size from approximately 1,450 to over 1,700 square feet and feature one to three bedrooms, two or two-and-a-half bathrooms and a two-car garage. The single-family homes range in size from around 1,350 to nearly 1,750 square feet. The single-family homes have two bedrooms, two bathrooms and a two-car garage. The garages come in a combination of attached or detached options. Almost all of the homes in San Juan Hills provide residents with spacious living areas, a living room fireplace and large private patio areas. San Juan Hills provides a low-key atmosphere where you can find a sense of community. Although there is not an activities director, neighbors and friends constantly get together and plan events. Active adults love this community because of the easy access to the San Juan Hills Golf Course where golf lovers can walk to their next round, attend happy hour at the bar or enjoy the panoramic view of the surrounding mountains. San Juan Hills is located in beautiful San Juan Capistrano, California. It is right off of San Juan Creek Road and is conveniently located near Interstate 5. John Wayne Airport is just over 20 miles away and the Los Angeles International Airport approximately 60 miles to the north. San Juan Capistrano also features shopping, dining, and entertainment in its historic downtown district. Closer to home, San Juan Hills is located near horseback riding trails, downtown farmers market, and The O Neil Museum-Pryor House. Popular historical sites include Montanez Adobe, San Juan Capistrano Jail Cell, and the Blas Aguilar Adobe. With beautiful homes and breathtaking 18-holes of golf within walking distance, active adults in Orange County will love calling San Juan Hills home. San Juan Hills allows residents to take advantage of the beautiful Southern California climate with its network of outdoor pools. In addition to the series of outdoor swimming pools, the San Juan Hills Golf Course is next door, it's 18-holes of championship golf weaving through the community. Check back soon for more information on the lifestyle in San Juan Hills. San Juan Hills provides the perfect place to call home with low-maintenance attached homes. The attached homes range in size from 1,450 to 1,730 square feet and featuring one to three bedrooms, two or two-and-a-half bathrooms and a two-car garage. Most homes provide ample living space and a patio. San Juan Hills offers low-maintenance single-family homes. The single-family homes have open floor plans and range in size from 1,350 to 1,750 square feet. Most homes have at least two bedrooms, two bathrooms and a two-car garage. I am very happy with my decision to move here. I bought a place a couple years ago and have been loving the golf here ever since. The club is great with a nice restaurant, driving range and pool. Plus, the homes are maintenance-free so I have more time to enjoy it. It's quiet, private and I'm met a lot of great people to golf with. 55places.com is not affiliated with the developer(s) or homeowners association of San Juan Hills. The information you submit is distributed to a 55places.com Partner Agent, who is a licensed real estate agent. The information regarding San Juan Hills has not been verified or approved by the developer or homeowners association. Please verify all information prior to purchasing. 55places.com is not responsible for any errors regarding the information displayed on this website.